A gentle ear cream especially formulated for dogs and cats with ear problems. Soothing and itch-relieving, the mild, plant-based formulation with enzymatic action, helps to create an unfavourable environment for bacteria and fungi. A tube with long, soft dispenser tip for easy application. 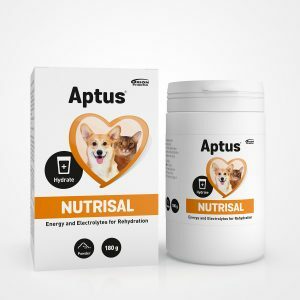 Ear cream for dogs and cats. Apply once daily when necessary for up to 2 weeks. Dispense a small amount of cream with the soft dispenser tip (included) and gently massage the cream into the outer ear canal. In cases of prolonged or persistent ear problems speak with your veterinarian. 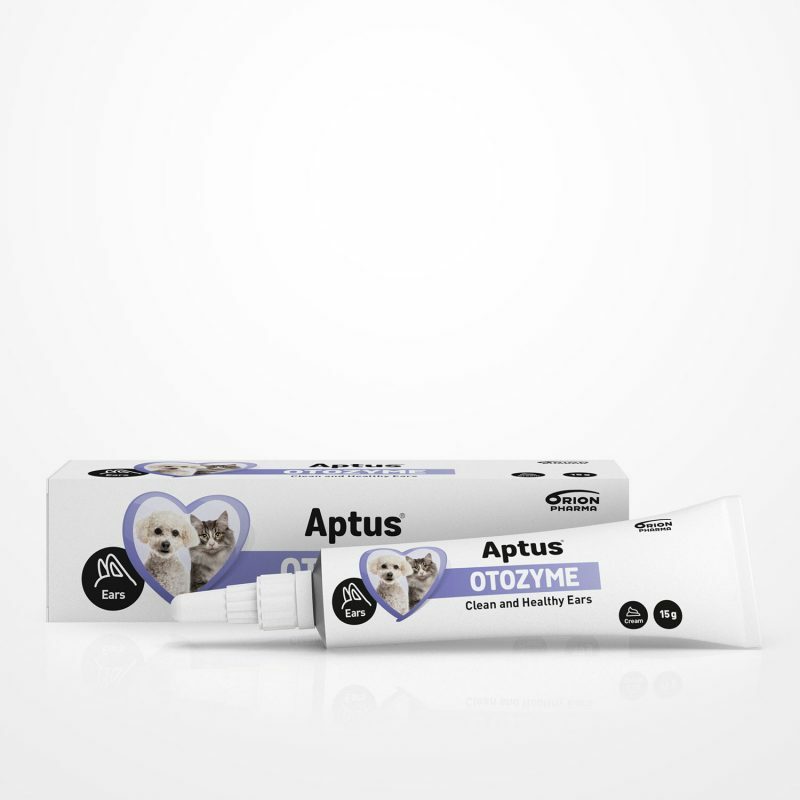 We recommend cleansing the ears with Aptus Otozyme Wash before applying Aptus Otozyme Cream. Aqua, Ricinus Communis Seed Oil, Ceteareth-33, Glycerin, Phenoxyethanol, Juniperus Virgiana Oil, Thymus Capitatus Herb Oil, Chamomilla Recutita Oil, Mentha Piperita Oil, Eucalyptus Globulus leaf Oil, Rosmarinus Officinalis Leaf Oil, Thymus Vulgaris (Thyme) Leaf Oil, Lavandula Angustifolia Oil, Polyacrylate-13, Lysozyme, Methylparaben, Polyisobutene, Polysorbate-20, Chlorhexidine digluconate, Propylparaben. Gentle ear cream with soothing, anti-itch, and cleansing properties supports a healthy balance in the ears and the outer ear canal. The combination of plant-based ingredients together with essential oils, enzymatic action, and chlorhexidine creates an unfavourable environment for bacteria and fungi, which promotes healthy ears. 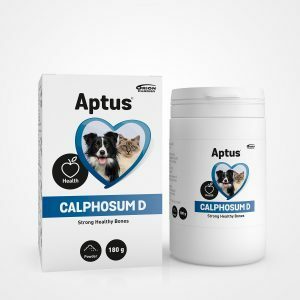 Recommended for recurring ear problems, mild irritation, for bathing dogs with ear problems, for pets with excessive production of wax, and foul smelling ears.